China, 1935…a young woman named Leiyin wakes up one day at her own funeral. Accompanied by her three souls-her Yin, her Yang, and her Hun-she must look back on her life and learn why she is still floating among the living, not crossing over. Her journey is painful. She relives all of her mistakes and sees, from the outside looking in, the pain she has caused others in her own pursuit of happiness. The living still need her help, and she learns she must do what she can to put things right, even after death. But how does a spirit reach out to the living? They don’t seem to feel her, even when she reaches out to touch them, and her family needs her more than ever before. Three Souls is not the first novel I’ve read this year dealing with Eastern philosophy on the afterlife, death, traditions in respect to the spirit world-and I have to say I’m glad for this little popularity surge. I tend to be pretty morbid, in general, and I’m fascinated by world views on the more macabre subjects. This novel is beautifully written, and it’s a history lesson on the advent of communism in China, while managing to truly be about a woman not so different from any of us. Mostly self-centered, but with good intentions and a lot of love and caring for people who don’t hear it enough. This novel made me wonder what, if anything, my own actions have set forth in other people throughout the course of my life. 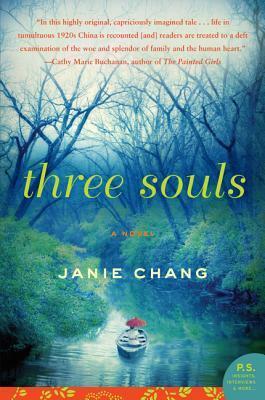 If you like this type of read, you will really enjoy Three Souls, by Janie Chang. The year is 1904, and Teresa and her daughter, Lucia, are servants in the grand villa of a count and countess on the Bay of Naples. Lucia’s beginnings were shady, she doesn’t know who her father was, only that her mother was assaulted on the shore while working at a masquerade ball many years before. Still, they have a peaceful life, for the most part, cleaning the villa and keeping to themselves. One day, however, everything changes. Her mother aspires to sing opera, and who should appear before her but a famous male opera singer. She confronts him in effort to make him listen to her beautiful voice and she is cast aside and humiliated. News about the episode travels over the island, and the incident appears to be all the Count needs to escalate his poor treatment of Teresa, and to turn it’s terrible focus onto Lucia. Suddenly, the young woman and her mother are fleeing Italy and headed to America to find a new life. Early 1900s America was a bustling place, full of opportunity and modern ideas…But life is not so wonderful as families in Italy were led to believe. Sweatshops fill the cities and immigrants are treated badly. Racism is powerful and there is no love lost between the Italians, the Polish, the Irish… All are competing for work and suspicion runs rampant. Still, Teresa gets a job and Lucia is allowed to learn English and go to school, and things go quite well for some time…But Teresa struggles, trouble finds them, and they must find a new path. Teresa decides to chase her dream and finally gets work as a performer in a vaudeville show. Lucia is finally able to graduate, but she receives terrible news about her mother, and her life and plans are put on hold…Maybe forever. Will Lucia ever find the life she wants, or will she continue to be beaten down, time and again? 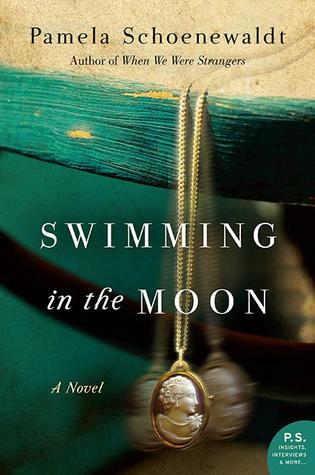 Once in a while, an avid reader finds a novel like Pamela Schoenewaldt’s Swimming in the Moon and is thrown a little off-kilter by it’s originality and deep emotional pull. Many of us get trapped in genres, Paranormal Romance, or Historical Romance, or Fantasy, or ChickLit, and we never venture outside of our comfort zone. Swimming in the Moon is the type of book that takes you out of your comfort zone, although I would categorize it as women’s fiction because it outlines one of the greatest challenges faced by many females: the mother-daughter relationship. If you enjoy fiction with a lot of drama and feeling, you won’t want to miss Pamela Schoenewaldt’s Swimming on the Moon. Edie Middlestein has a big problem. She can’t stop eating. She thinks about food all day long. This wasn’t a problem until her Doctor told her she had to put it to a stop or she was killing herself. Her family doesn’t know what to do with Edie. After two surgeries, Edie still refuses to make any life changes. Her husband has decided to give up on his wife, for good. The responsibility falls on Edie’s children to make sure that Edie is cared for. But her children have lives of their own. What is a family to do when a loved one refuses to follow medical advice? How can they keep their mother healthy when she is a grown woman who makes her own decisions? Edie’s friends gave up on her long ago, because she will not listen to anyone. This novel outlines the very real events that domino through families with a member whose habits are killing her. The helplessness and guilt that courses through these people, how it affects their own lives, and the hardship that illness brings into a family. If you want a more serious, family-related read, this one might be an interesting choice for you. Warning, however, it’s pretty sad. The audiobook is available from Hachette Audio, and it is very well narrated. The Middlesteins, by Jami Attenburg, is a portrayal of obsession, and how that obsession can cause a ripple effect among families that changes everything. 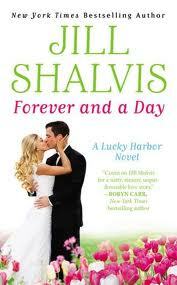 Newly out in the Chicklit: Jill Shalvis’ Forever and a Day, and Meg Mitchell Moore’s The Arrivals. Forever and a Day, by Jill Shalvis, is number 6 in the Lucky Harbor Series, which is very popular among the Nora Roberts-like line of contemporary romance. The books are easy and relaxing, and the guy always gets the girl-but not without some very endearing conflicts along the way. This particular novel circles around Grace, a woman who is trying to decide what she wants to do with her life when she falls into nanny-ing and dog sitting for the town’s most eligible bachelor, a handsome local Doctor named Josh. They made a deal that her position would be temporary, but things start to get complicated VERY quickly. Juicy love scenes included. 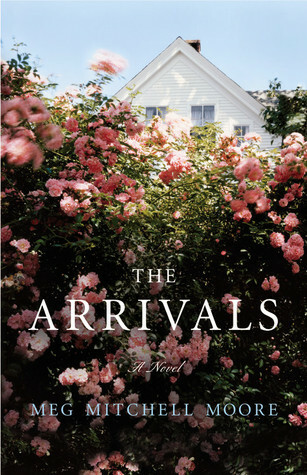 Meg Mitchell Moore’s The Arrivals is a more family-centered novel, focusing less on romantic love and more on the complex relationships that exist between parents and their children, ranging from young to old. When a retired couple finds their children all home at once, working through difficult life obstacles and some even bringing children of their own, they will learn that parenting never ends, and it doesn’t get any easier, either. This is a heartwarming novel that ends happily as the characters learn to be comfortable with themselves and their life decisions, with the love of family to back them up. If you are a parent, you will find this one especially touching and sweet. So if you have been looking for a new audiobook, these are this reviewer’s top Chicklit choices for a summer listen-so grab them now and listen before fall rolls in, and I throw another one your way!